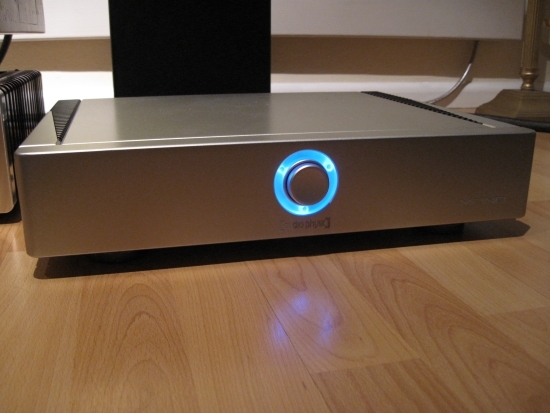 My friend Jeroen called the other day: “I am on the road now and have just returned from buying some new stuff… do you perhaps have nothing going on this evening?” Jeroen had bought some Jeff Rowland components such as a Coherence preamp and a Cadence phono pre. Oh yeah, and these Audio Physic mono poweramps. He wondered if he could have a listen to them in my setup. 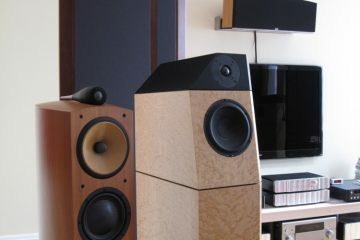 I had read a review of these amps in the German magazine audioPHILE but had forgotten about it. The Stradas are from 2004 and were considered to be cutting edge at the time. In speaking about the amps while connecting them, Jeroen actually thought that they were traditional class A/B amplifiers and informed me likewise. During the listening tests, there was nothing that gave away their “digital” character. Only after remembering the article in the magazine, and digging it up from my piles of mags and reading through, we found that indeed these amps employ a switching power supply and use a form of switching amplification, referred to as class ND. After first switching on – the seller mentioned that these amps need almost no warm-up time – they immediately surprised with a much fuller and richer sound than I expected. 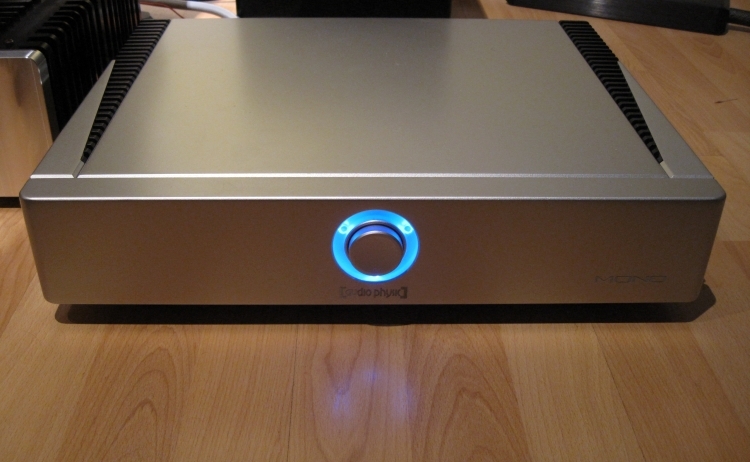 Even not knowing that they were in fact switching amps, I still had preconceptions based on their appearance and the fact that they were made to work with large Audio Physic speakers that need a lot of control in an amplifier. So I figured these amps would sound powerful, controlled, tight. And in a way they did. But not in a cruesome way. For starters the bass was full and weighty. Not as weighty as the Pass Labs x250.5 but easily a match for my Rowland model sixes. The Physics also had colour and richness of tone that I had not yet experienced before in a switching design. They did improve a bit after some playing time, becoming more fluid, but indeed the differences were small and I would agree with the seller that they need practically no warming up. I have had a Jeff Rowland model 10 poweramp that also had a switching power supply but was traditional in terms of amplification. The 10 was also full in colour, as you would suspect from Jeff Rowland, but I still found it slightly too fast sounding. I think in terms of neutrality and precision it was probably spot on but for my tastes, it was slightly too lean. I blame this on the power supply. But back to the Audio Physics: it too has a switching power supply as well as switching amplification but I find it even fuller sounding than I recall the model 10 to have been in the same setup. The Audio Physic is despite its full tonality a speedy performer, but not too much so. It is lively and nimble yet not aggressive at all. Detailing and soundstaging are more or less on par with the Rowland sixes but this is not where the big differences lie. It is the shady territory of emotionality, air and finesse where I find the Physics slightly lacking. The Physics, full sounding and natural though they may be, still sound somewhat measured to me. 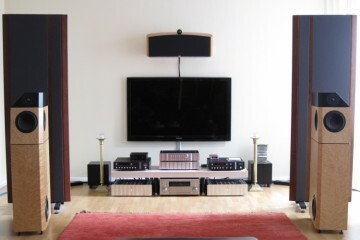 I don’t find myself involved as much as when listening to my Rowlands, or to the Pass x250.5 for that matter. Both these amps sound more continuous, more fluid and, for a lack of a better word, more “analog” than the Audio Physics. But to put things into perscective: the finesse and air I’m talking about are aspects heard only in comparison to my Rowlands. The Stradas do not have the lean sound that I heard in the other switching amps. The Audio Physics sound, well, physical. Theye have a full colour tonal pallete, with great bass easily on par with my Rowlands. Also detailing is pretty good and they even have a warm and inviting character. The only things missing are the refined subtlety and air in the treble that the Rowlands are capable of. It would seem that one or my greatest beefs with switching amps seems to have been overcome. 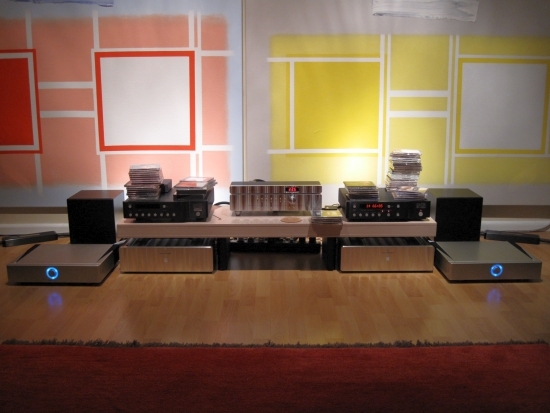 By amps made in 2004 that were admittedly 15000 euro then. We may see more developmens here and probably ultimately the demise of class A/B. Which is fine by me, as long as the resultant amps equal or maybe even better traditional designs.